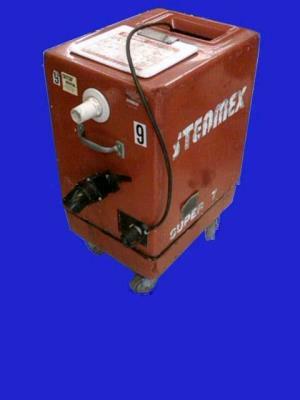 The tank and wand style of carpet extractor works well in both open and encumbered areas that you are cleaning. Unit holds 2+ gallons of hot water and cleaning solution and features two vacuum switches, a 10' hose, and a heavy duty wand with activator lever. Gate valve in tank allows for easy discharge of waste water into a bucket or floor drain. We carry a full line of carpet cleaning solutions for high traffic, pet, and general duty applications. * Please call us for any questions on our carpet cleaner box wand rentals in Hillsdale and Ridgewood NJ.